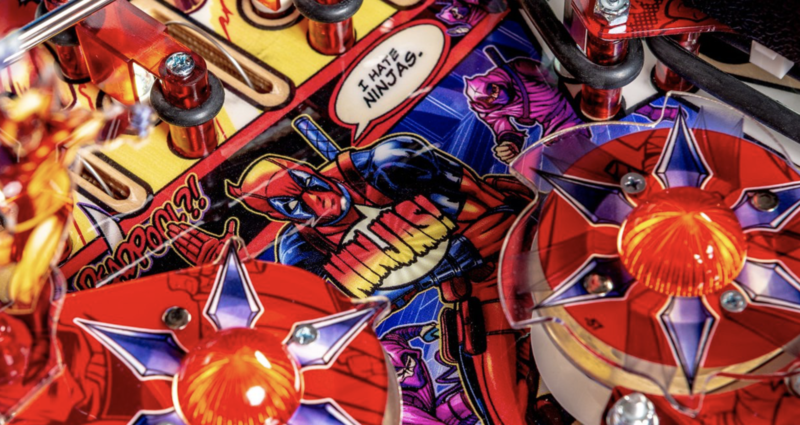 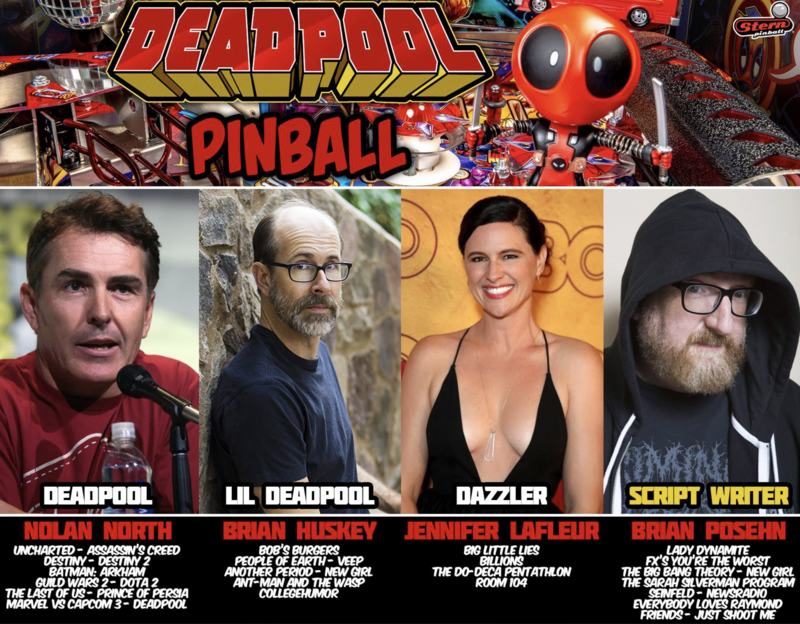 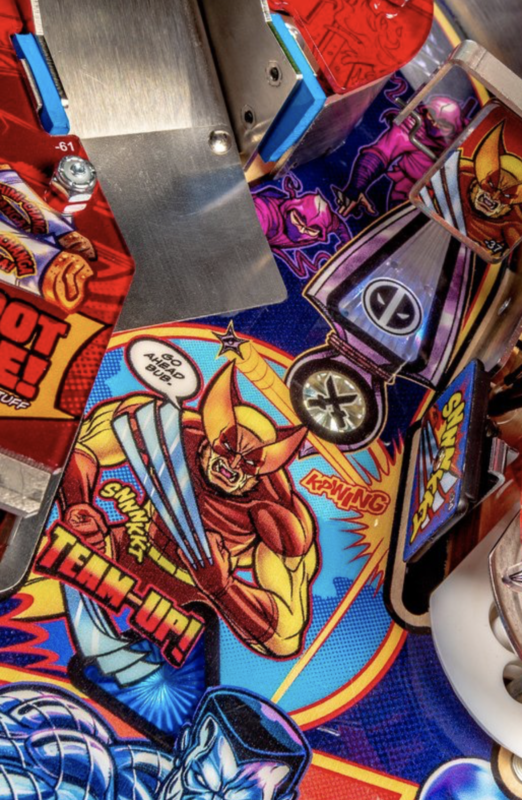 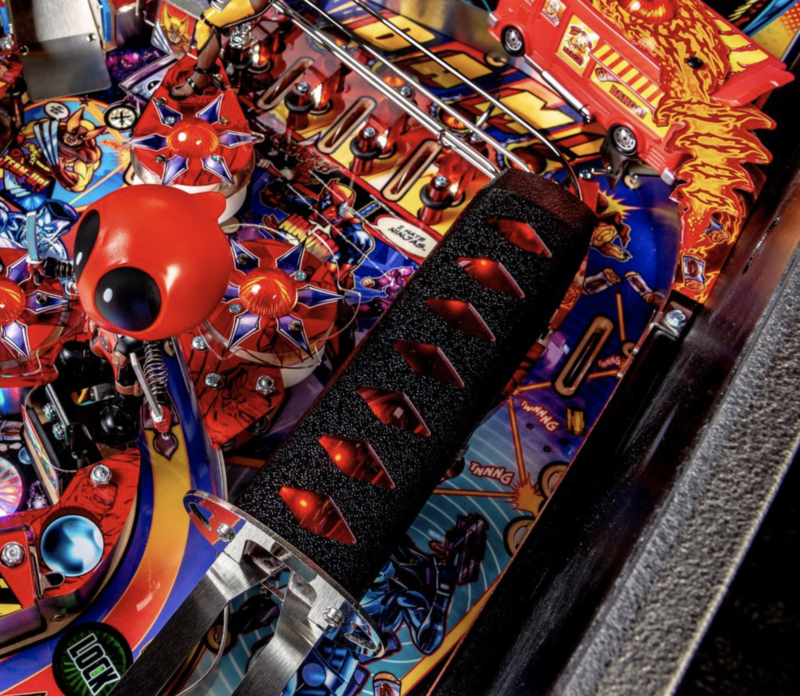 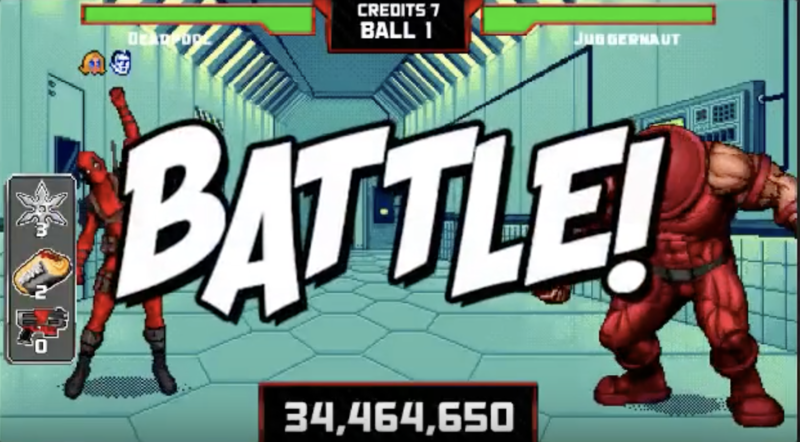 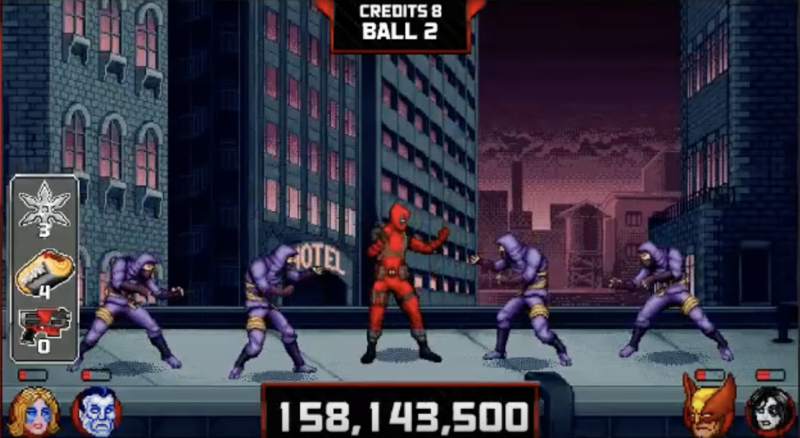 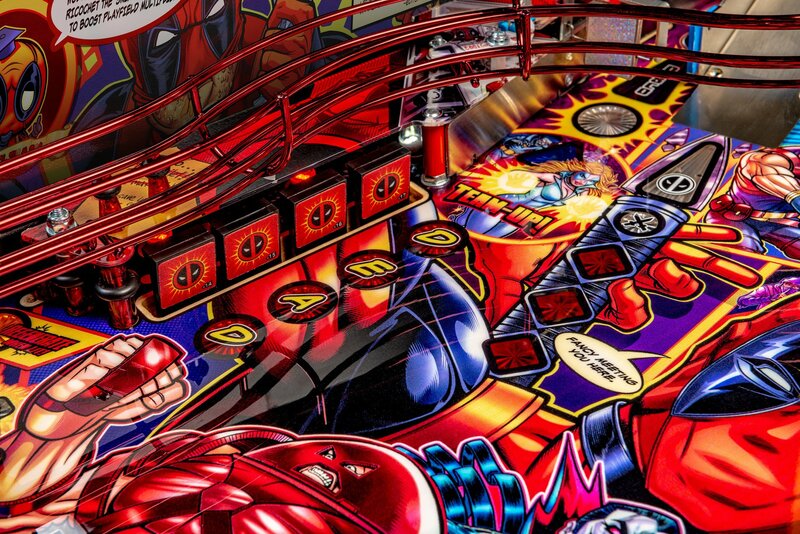 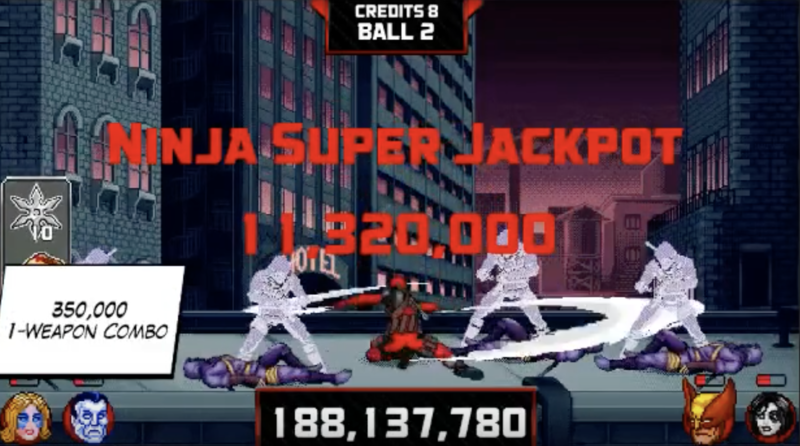 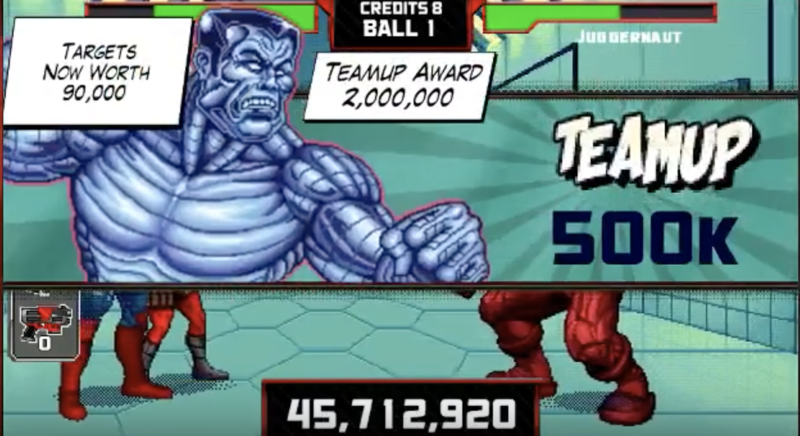 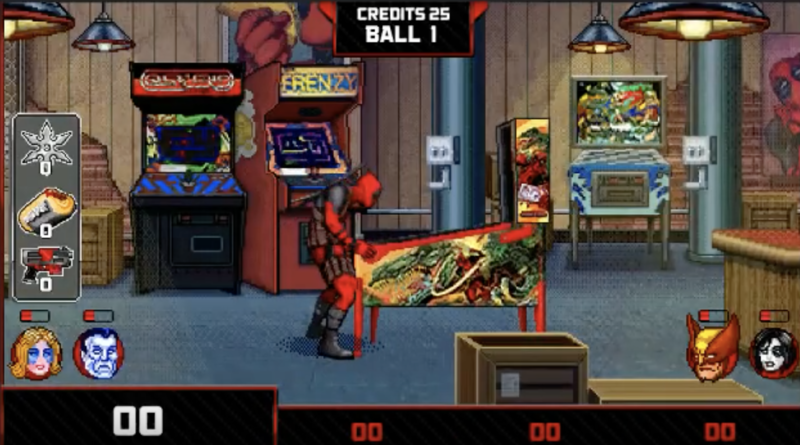 Deadpool is the newest title from Stern Pinball! 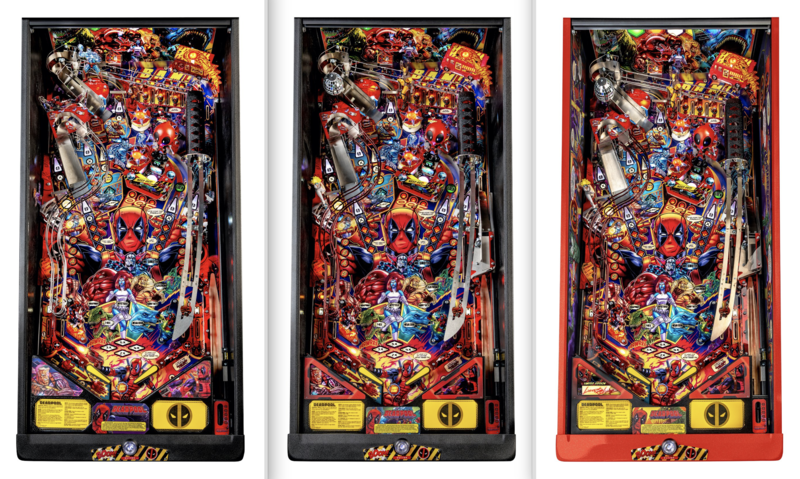 Below is an in-depth Overview of the machine, based on the information Stern has released and the stream of the Pro version machine from Dead Flip. 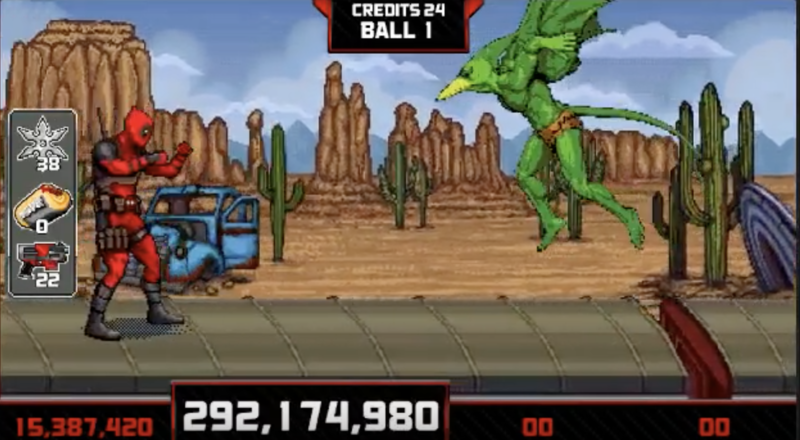 Watch the full stream here! 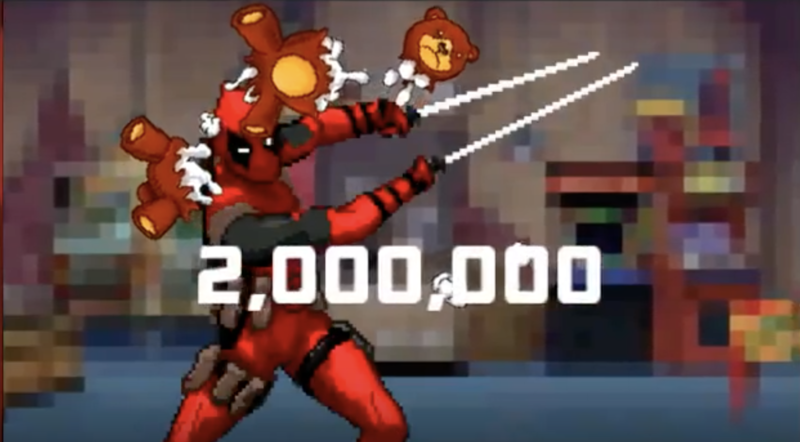 Many others – Watch Tim Sexton introduce the full team here! 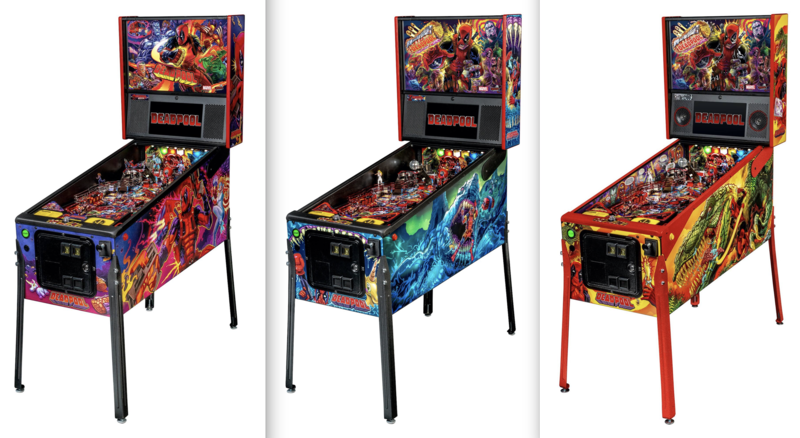 The Pro versions are shipping with code version 0.81. 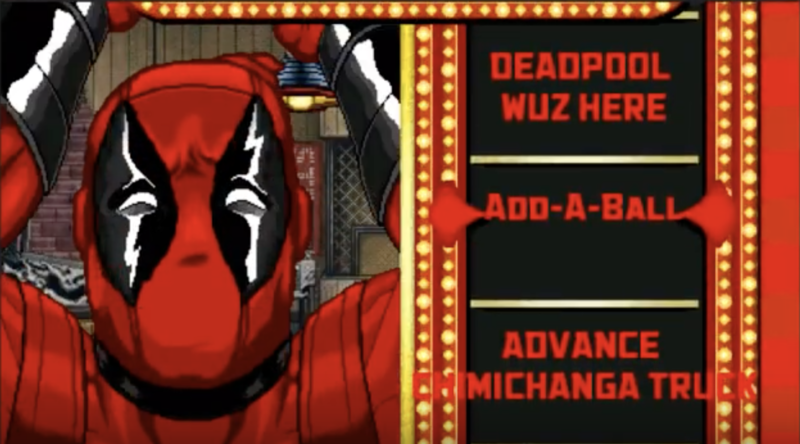 “Deadpool” is known as the “Merc with a Mouth” because of his talkative nature & is notorious for his outrageously funny offbeat humor which is featured throughout the game. 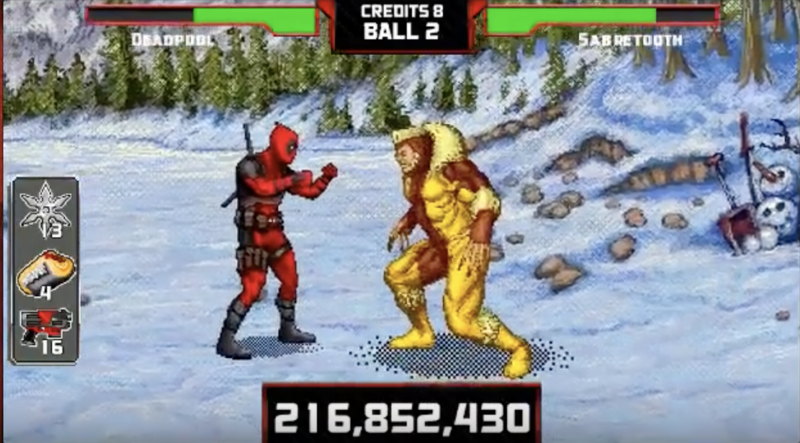 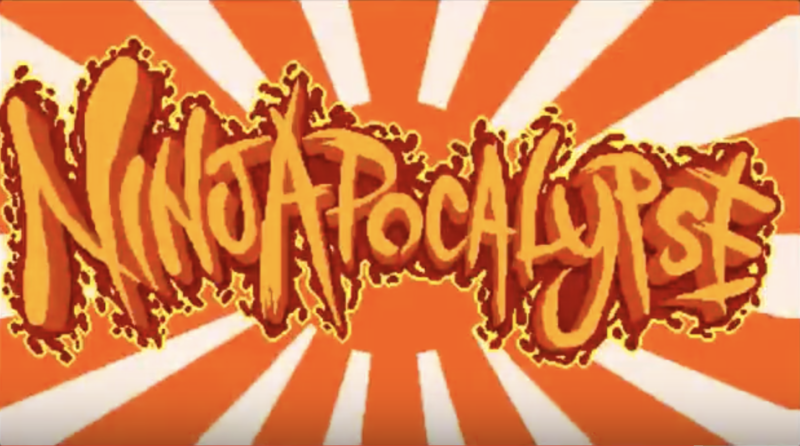 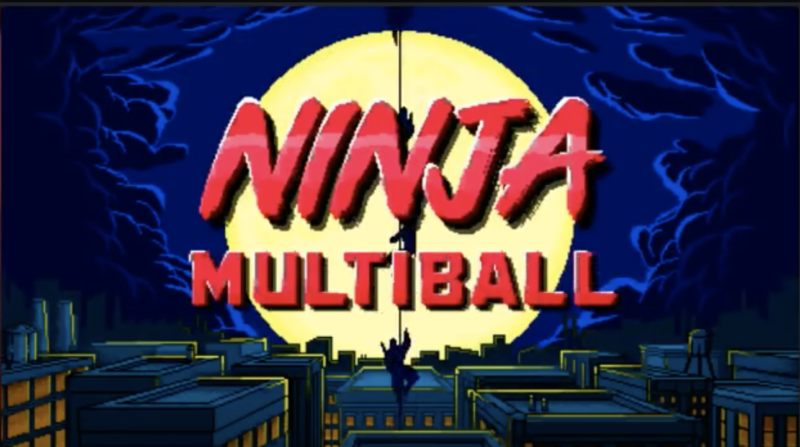 Players will be immersed in the Deadpool universe, teaming up with iconic X-Men characters Wolverine, Dazzler, Domino, and Colossus as they battle against infamous villains Juggernaut, Sabretooth, Mystique, Sauron, and Mr. Sinister. 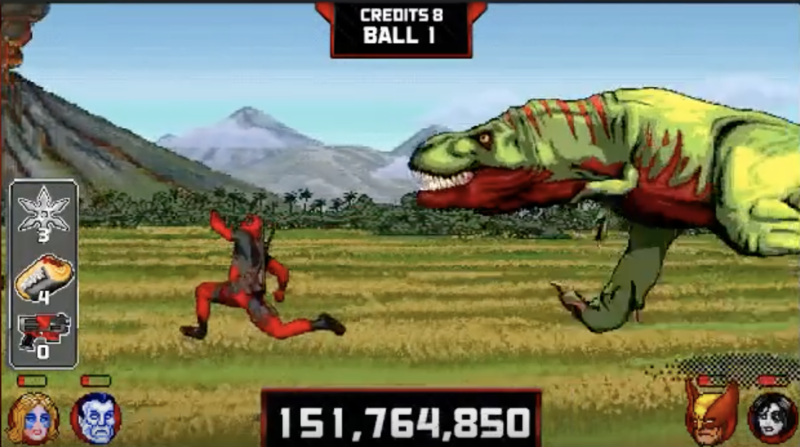 Players will also tag along with Deadpool on his time machine quests as he battles against the T-Rex and the Megalodon. 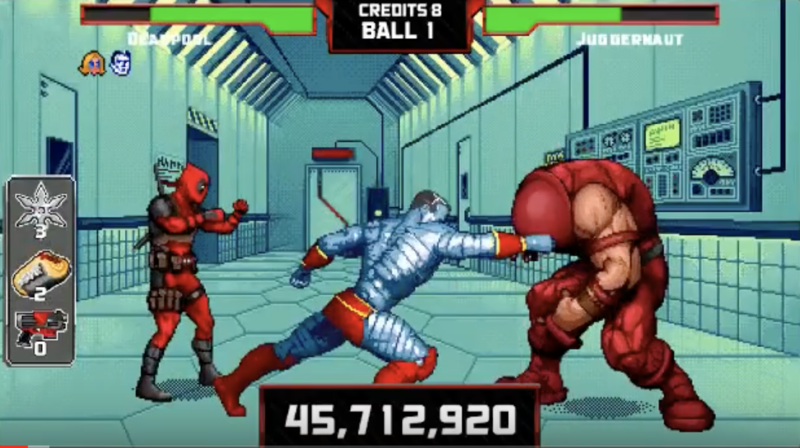 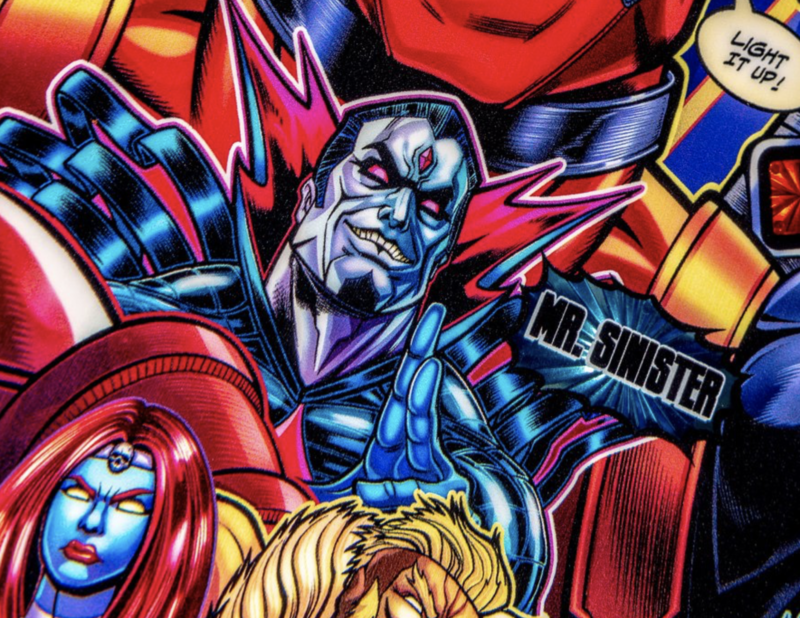 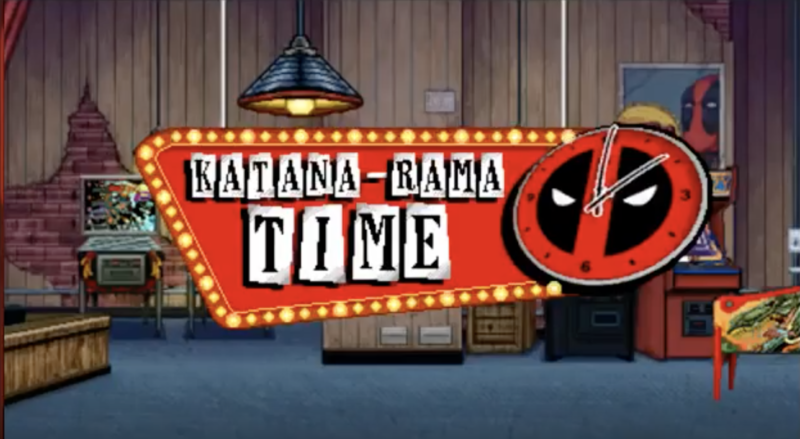 You begin this game in Deadpool’s bunker, with Dazzler, Colossus, Wolverine, and Domino. 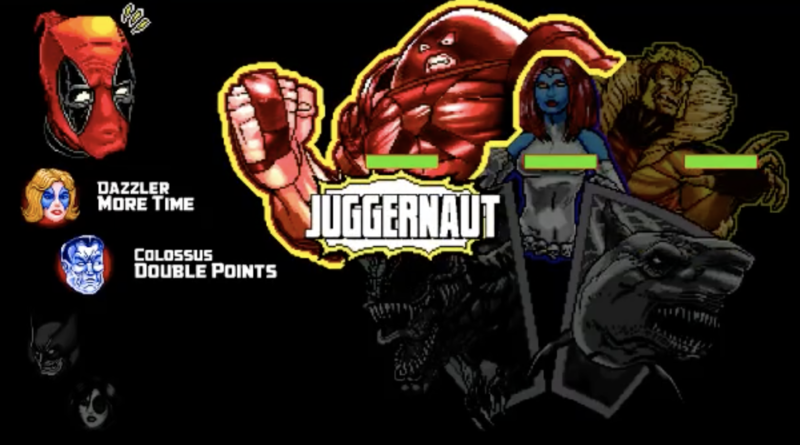 They’re hanging out having a good time playing some retro Stern games. 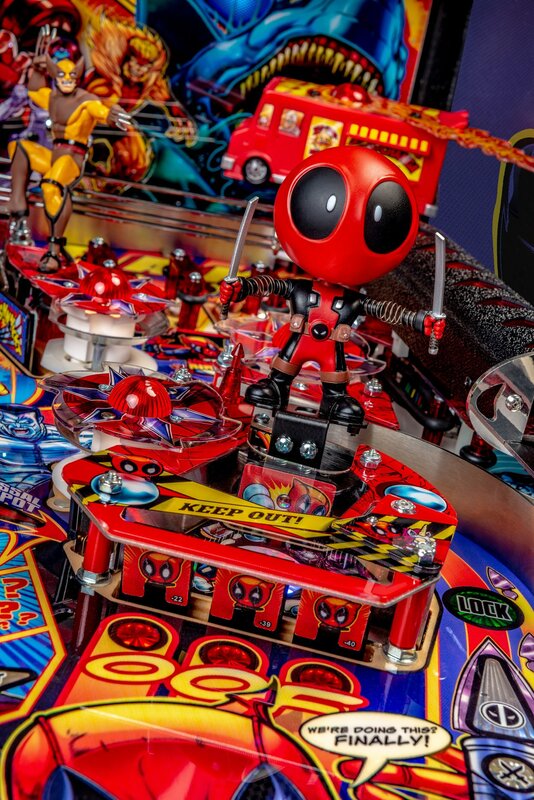 Deadpool is front and center, playing his new Deadpool LE pinball machine. 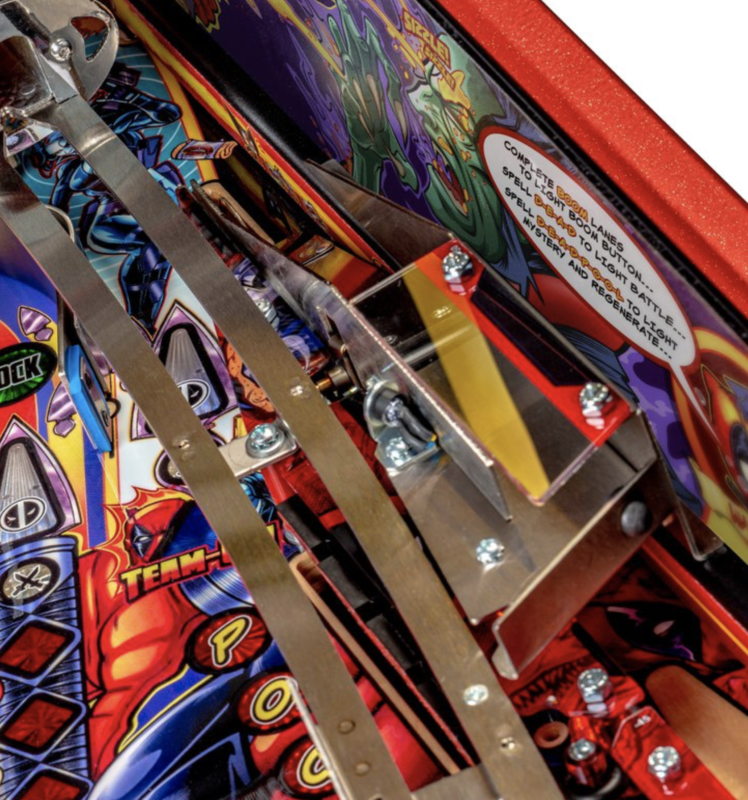 It is worth noting, this is the first Stern Pinball machine in a while (since Batman ’66?) 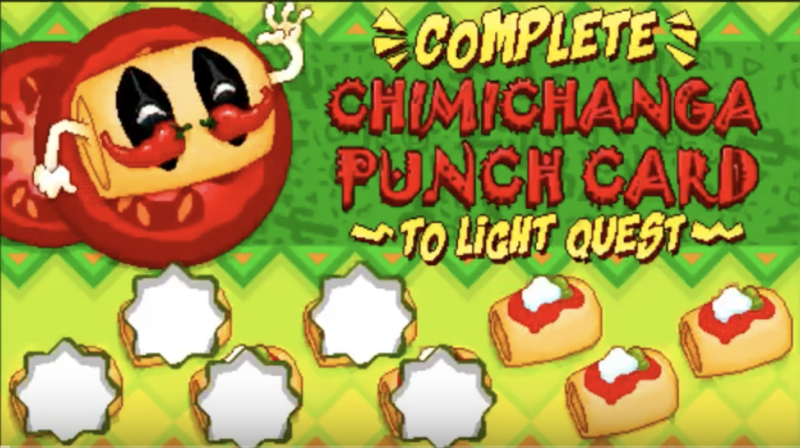 where the player does not make a “choice” before starting a game, such as picking your song or path. 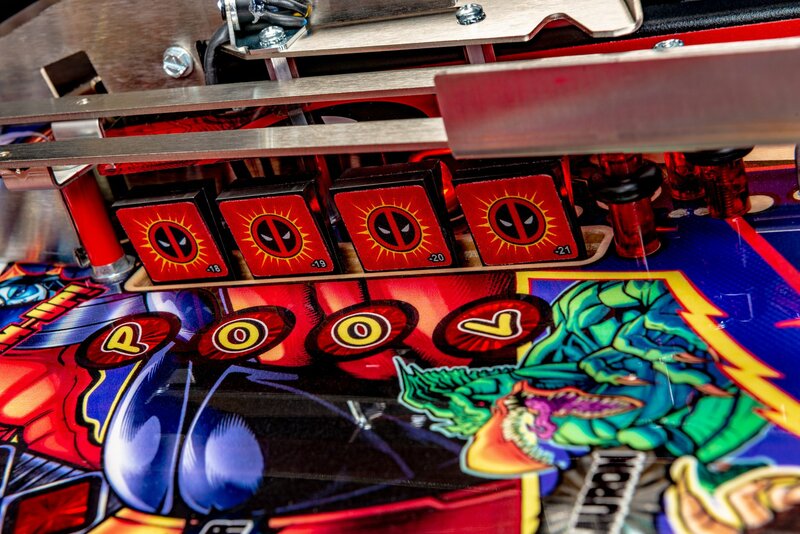 Note: If a mode is complete, it stays lit on insert and shows you on back panel. 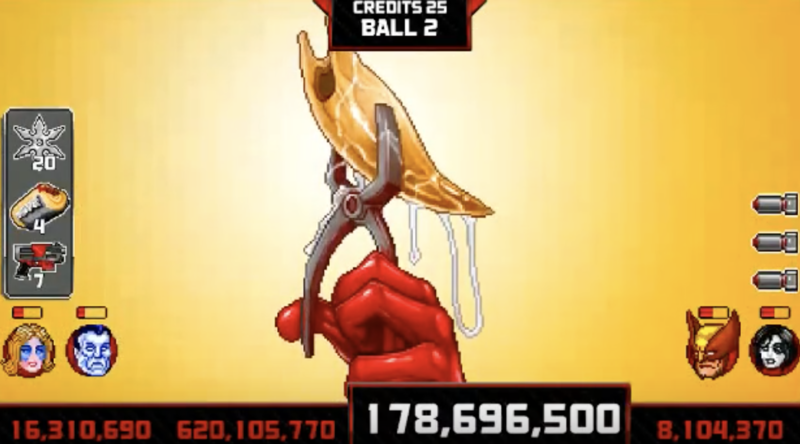 If it isn’t finished, it pulses. 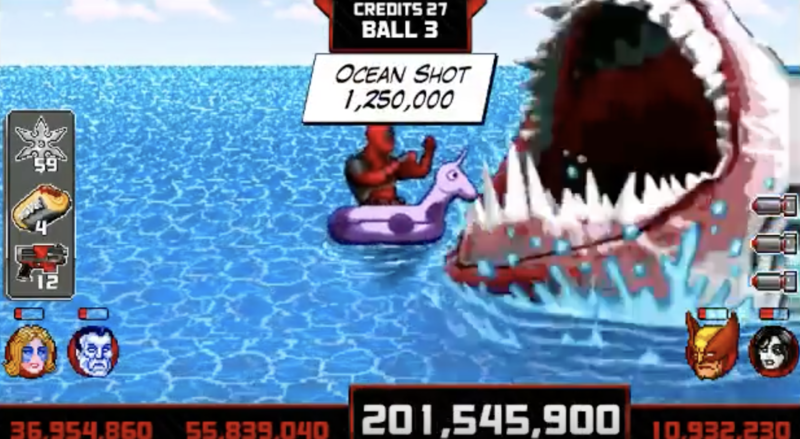 Shoot any shot for 150 million points. 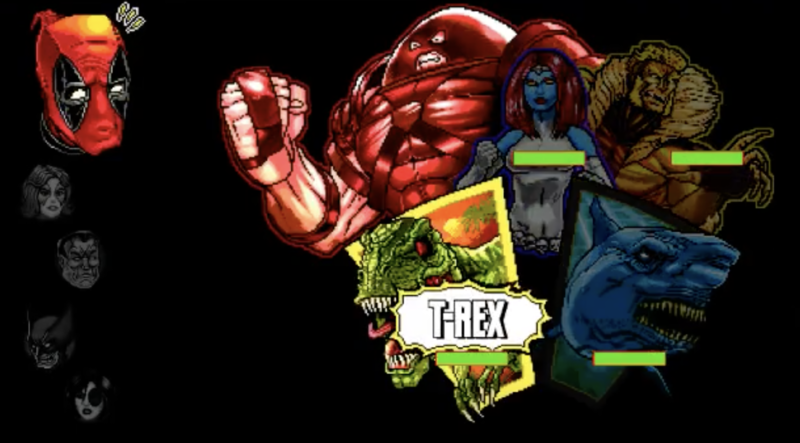 This completes the mode. 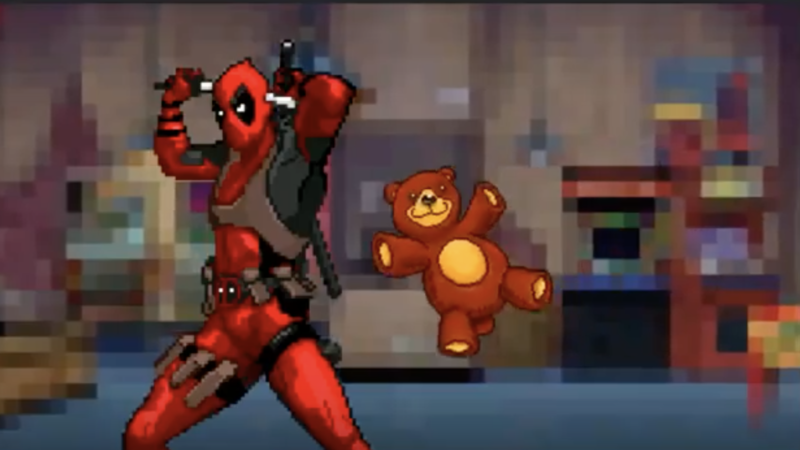 destroy teddy bears, watermelons, toasters, pies, etc. 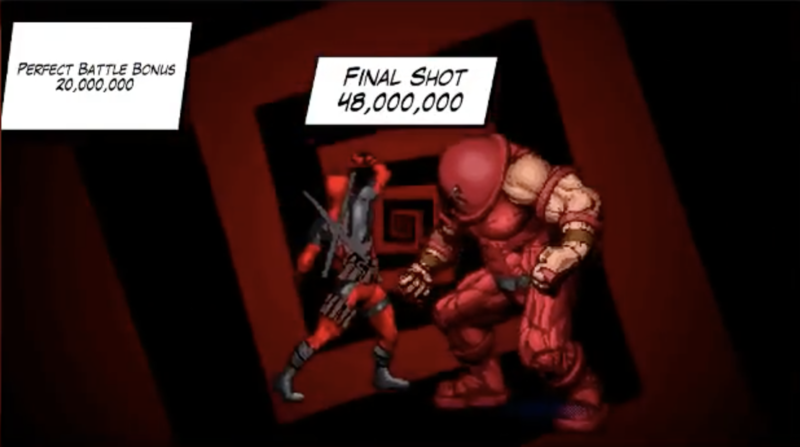 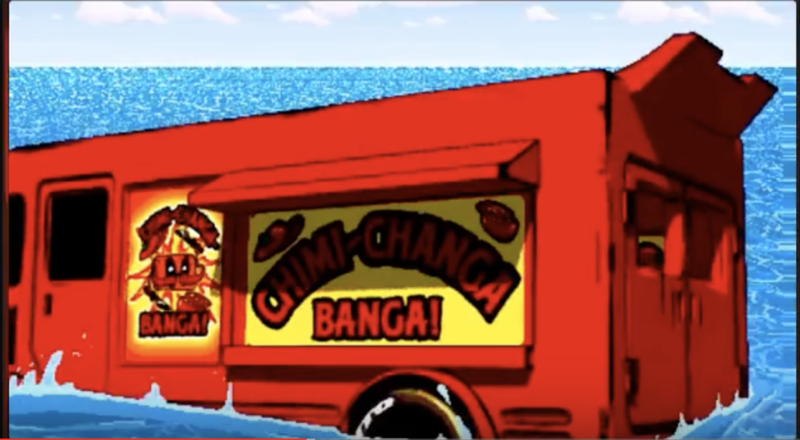 Check out examples of this shot HERE and HERE! 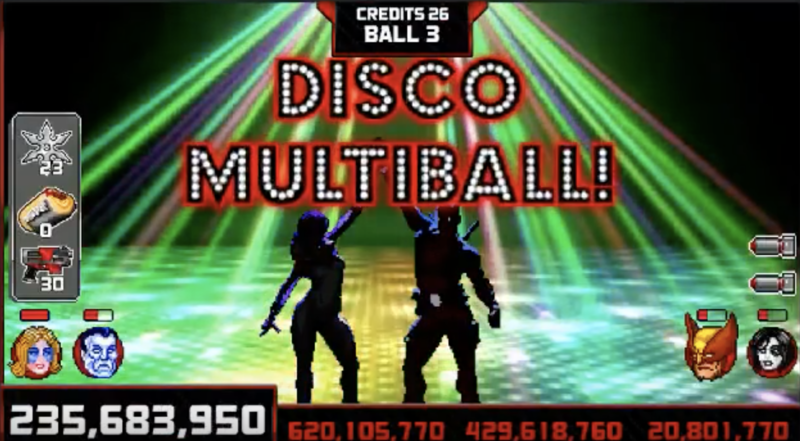 Best Ball of the Night! 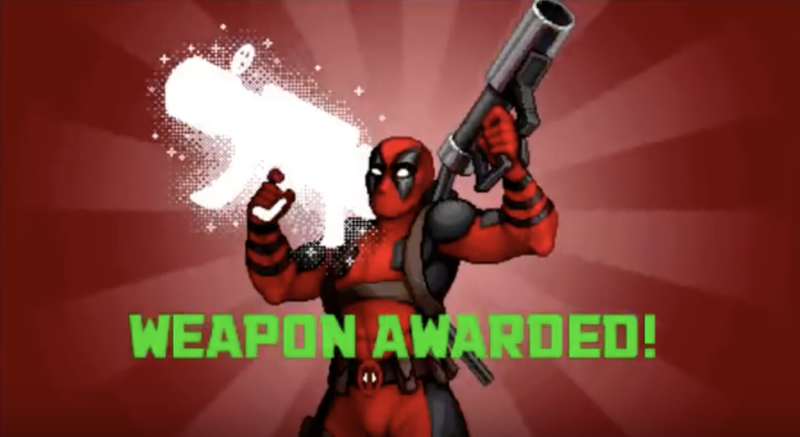 In the coming days we’ll post our FIVE LIKES and FIVE DISLIKES from Deadpool – stay tuned!